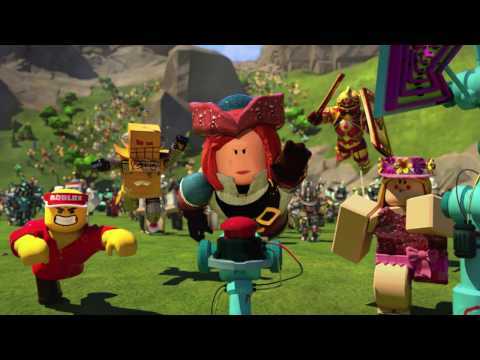 Roblox gaming platform is a user-generated massively multiplayer online social gaming space developed and published by the Roblox Corporation and released in 2006. Over 56 million players come to the games every month to create adventures, play games, roleplay, and learn with friends. Roblox platform is the largest user-generated online gaming platform, with over 15 million games created by users like Store Robbing, Restaurant Tycoon, Meepcity, Murder Mystery 2, Pokemon Brick Bronze and many more, it is the #1 gaming site for kids and teens. You can access to Roblox platform on PC, Mac, iOS, Android, Amazon Devices, and Xbox One. The adventures are accessible from any device, so players can imagine with their friends regardless of where they are. This social gaming platform is powered by a growing community of over 300,000 creators producing an infinite variety of highly immersive experiences. These experiences range from 3D multiplayer games and competitions, to interactive adventures where friends can take on new personas imagining what it would be like to be a dinosaur, a miner in a quarry or an astronaut on a space exploration. Every month over six million people come to this platform to imagine, play, learn and create. The Roblox Imagination Platform supports over 80 million hours of engagement each month, more time than is spent on Pinterest, Reddit or Wikipedia (Comscore 9/2015). At peak times Roblox hosts a quarter million participants.